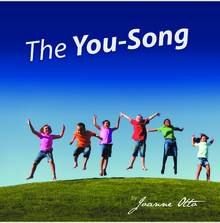 “The You-Song” celebrates, in a way young children can understand, the unique and vital place each of us occupies in God’s world and encourages them to fill their place in it with joy. Written by a teacher who’s helped many children overcome reading challenges, “The You-Song” is user-friendly, consisting of words that are either familiar or easy to decode. Lavishly illustrated with nearly 50 heart-warming photos, it’s also fun to read aloud to pre-readers.